Indian javelin thrower Neeraj Chopra has pulled out of the upcoming Asian Athletics Championship, which is set to commence at Doha from April 21. The 2018 Asian Games and Commonwealth Games gold-medallist took the decision after he suffered a strain on his right elbow during a throwing session on Friday. “Neeraj complained of some pain and discomfort after the throwing session. He is among our brightest stars and since the injury he’s sustained is on the throwing arm we saw no point in further aggravating it. We have to keep him fresh and competition-ready for crucial events ahead,” said India’s Deputy Athletics coach Radhakrishnan Nair to ESPN. This was supposed to be Neeraj’s first competitive appearance after the youngster underwent an elbow surgery in February. The 21-year-old’s condition wasn’t extremely severe but Neeraj didn’t want to take any chances. 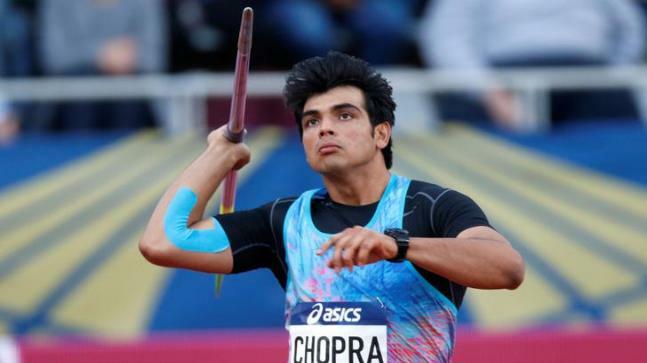 Neeraj Chopra became the third Indian to pull out from the Asian meet after Asian Games 800m gold medallist Manjit Singh and quarter-miler Dharun Ayyasamy decided to give the tournament a miss. However, this won’t affect his chances of qualifying for the 2020 Tokyo Olympics as the qualifying window for track and field events will start from May 1.